How taking a minute can change everything. I came out of the womb with a to-do list. For most of the 37 years that followed I dedicated my time, energy, and resources to checking items off that list. Driven by a somewhat unreasonable desire to achieve, my identity quickly became wrapped up in accomplishing goals and winning accolades. The result was many achievements I am proud of. Honor rolls, scholarships, sport captainships, physical fitness, a successful Fortune 500 career, and writing a book, to name a few. I was #winning, or so I thought. My first pregnancy came at 28. I was excited to become a mother, fueled by the new and special love that was growing inside of me and, if I’m honest, also by the opportunity to check another item (become a mom) of my super achiever to-do list. I figured a longer maternity leave would help me hone my craft, so I decided to take one year off to master my new task or motherhood. Leaving my career and my over-scheduled life for that amount of time was disorienting. I was busy taking care of my new baby, but at the same time I felt like I had absolutely nothing to do. Time, which had previously been my most precious and scarce commodity, was now abundant. If anything, there were too many hours in a day! I would put in what felt like a full day breastfeeding, playing baby games, and running errands just to realize it was only 10:47am. My life which had previously felt stuck in fast forward and suddenly had been set to pause. What came next were a series of revelations that changed me deeply. Nothing dramatic happened. My baby didn’t get sick or hurt. A loved one didn’t pass away. I simply started paying attention to life. I discovered the joy that is available in the millions of little everyday moments that are always around us. These amazing juicy moments that we typically whiz by without paying the slightest bit of attention. This miracle occurred because I had finally, accidentally, given myself the time and space to notice and experience them. My first a-ha moment came when I was sitting in my car at a red light and habitually reached for my work phone to check messages. Of course, there was no phone and there were no messages. I wondered for how many years I’d been unconsciously reaching for my phone to fill these mini voids in my time. Something inside told me to take three deep breaths instead. It felt amazing. I started doing this at every red light, and every other moment I felt myself reach for my phone. And then I tried it a few times before bed. And a few more times when my daughter napped. Shortly I had created the foundation of what would later become my meditation practice. For me this was a gateway into a realm of calm and “pause” that previously I was totally unaware existed. The next wake up moment came at the grocery store. An older woman complimented my scarf as I walked by. My initial reaction was to nod politely and keep walking. Don’t slow me down! I’m on a grocery mission and time is my number one commodity! But then I realized I wasn’t in a rush at all. So, I stopped and said thank you. I complimented her hair and we chatted for a few minutes about nothing in particular. Despite the nothingness of this interaction I left it feeling great. I realized connecting with others is one of the true joys and privileges of the human existence. I’ve been smiling and talking strangers ever since. Walking home that afternoon I noticed the leaves on the trees for what felt like the first time. I smelled the air and it was sweet and fresh. I looked up and felt absolute awe for the enormousness of the sky above me. I experienced my surroundings in a new and completely different light. I suppose I was practicing a version of mindfulness. I didn’t know or care what it was called – it just felt so good! Everything I saw was so beautiful. I became excited to look at more and more things around me through this new lens. It seemed suddenly so silly to me that all this had been around me forever yet I had failed to take the mere seconds it takes to notice and appreciate them. Now when I see a lake the incredible sparkle shines off the water up at me like diamonds in the sun. When I look up at a cloud I can get lost in the magic of its exceptionally pure white color. I’ve stared at the cheek of a baby completely mesmerized by one tiny perfect pore. I find beauty everywhere and experiencing that beauty is such joy! These experiences came into my life because I slowed down enough to notice them. While the examples I shared are truly are just little things, as they say, life really is about the little things! The joy these mini moments have brought to my life far exceed that of the accomplishments from my decades long to-do list. You do not have to wait to achieve your goals before you can experience happiness. It is available now! Taking a year off from your typical life like I did is not needed to experience this transformation. Today you can 1) consciously choose to shift your perspective and become open to experience the joys of the world all around you 2) pause long enough to notice and engage with these joys that will enter your awareness. Have you also experienced joy in everyday moments? 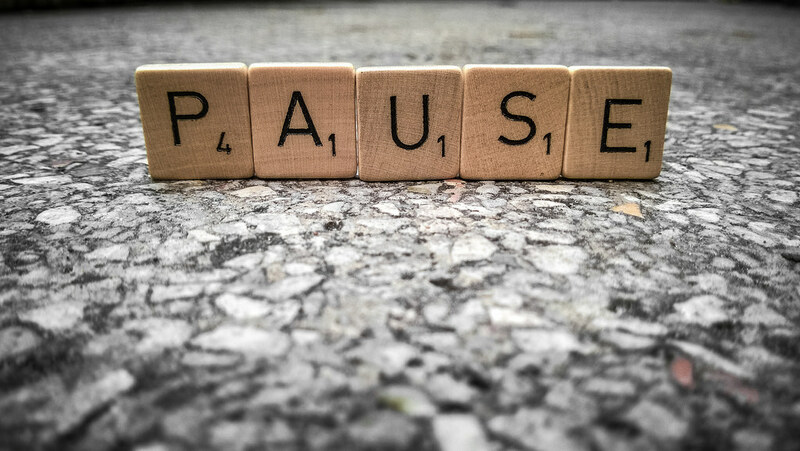 Did something happen to you that made you pause and take notice? I’d love if you would share your story in the comments below. Melissa Fiendell is a writer and marketing executive at a Fortune 50 company. Above all else she loves travel and is happiest when on an adventure with her family. Having lived across Canada, Sweden, and the US, she currently resides in Seattle WA with her husband and two children.